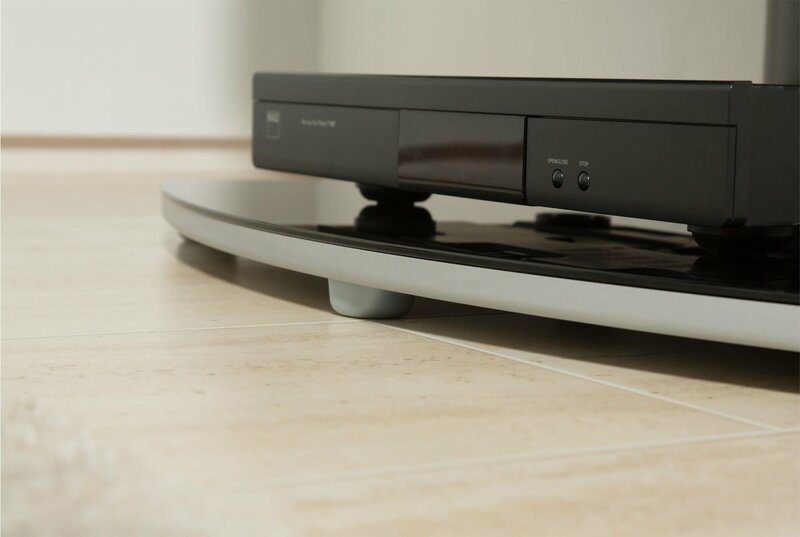 The new Osmium TV stand is part of the Alpha Range by Alphason. 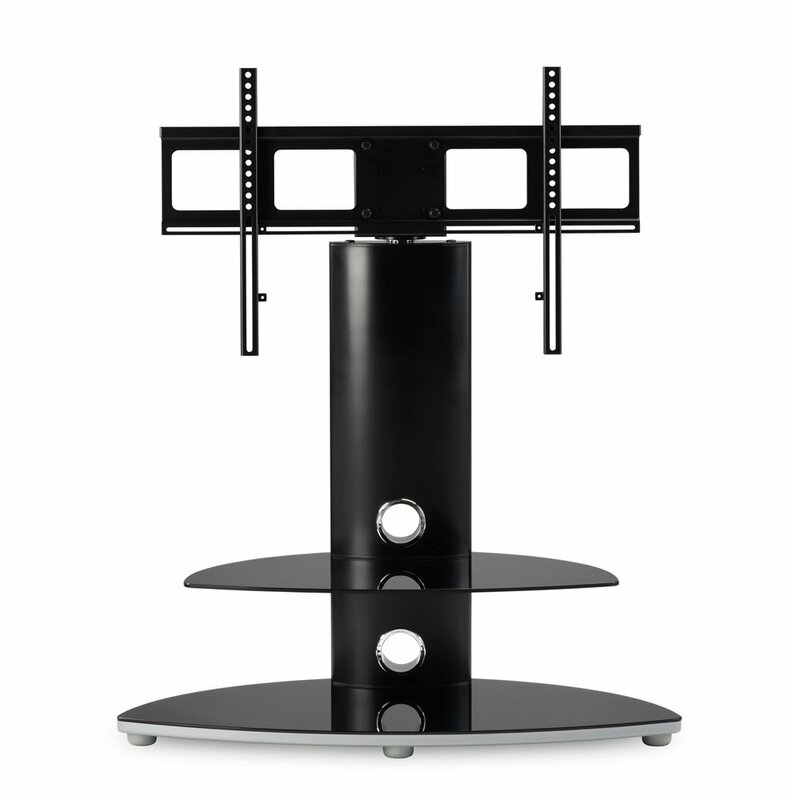 This Cantilever TV stand is fitted with a swivel bracket that is suitable for up to 47" TVs or 40Kg in weight. 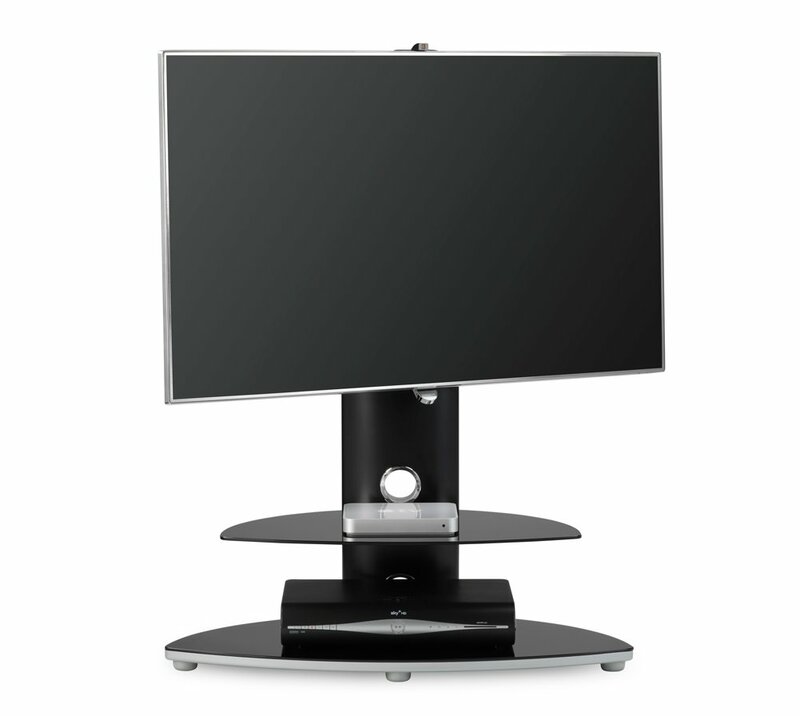 The swivel allows you to turn your TV into the optimal viewing angle. The clever and attractive use of curves gives a floating look to the glass shelf whilst remaing strong enough to support all your AV needs. Intergrated cable management ensures that all of your cables are kept out of sight. Looks good, fits neatly into my corner setting, moves easily on the carpeting. As a woman if a certain age Indid have someone set it up and attach the TV. Like the fact that it tilts a little to let me access the bookcase behind. Slightly scary to buy sight unseen but the reviews and website is true. Not really, but the holes for the wiring could be lower to make wiring less visible but it is all black so not a problem. 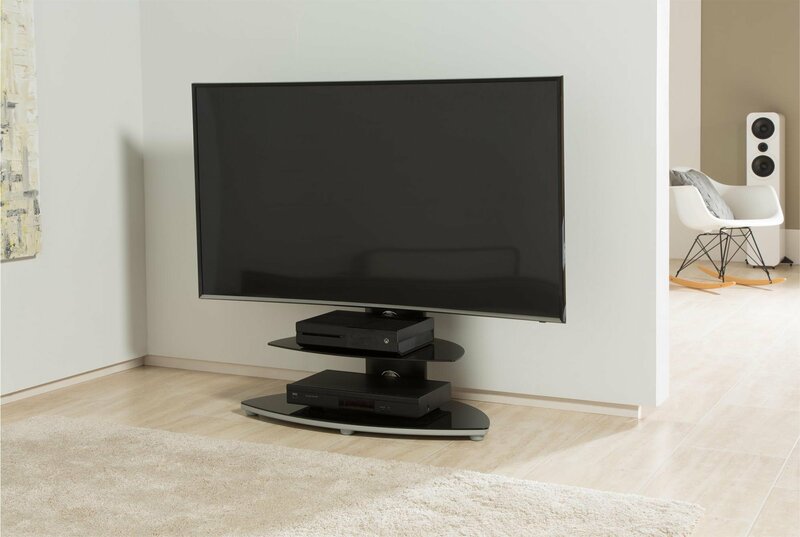 Questions people have asked owners of the Alphason Osmium TV Stand 47"
How do you manage to hide the cables with this stand? Hi, I'm looking for a stand for a new Samsung 32" TV and the only one I can find that fits the space available and meets my other requirements is the Alphason Osmium. 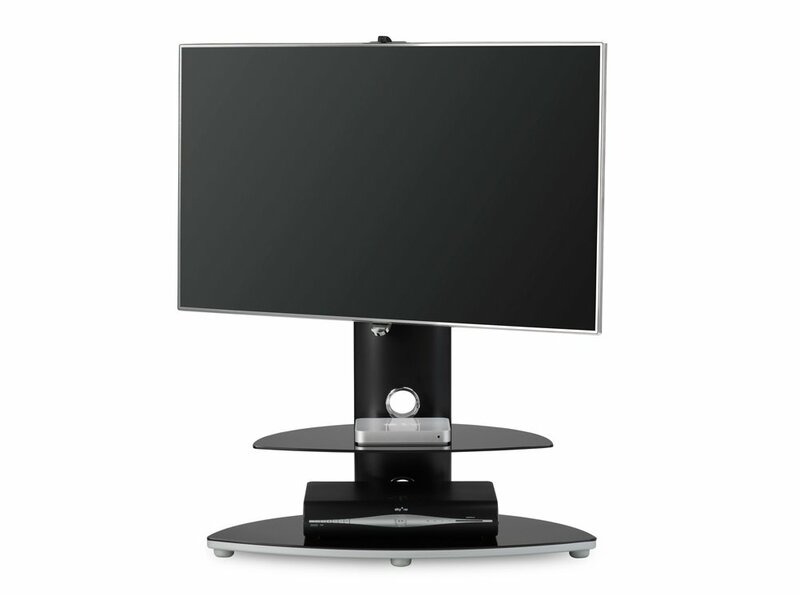 I really like the style of this stand but the website says that the stand is not compatible with the Samsung 32" TV. Is there any way the stand or TV can be modified to fit? This weekend I have just had a move around with my TVs and moved my 40inch Samsung 8000 series off this stand and replaced it with another older Samsung TV so I can assure you they do fit. 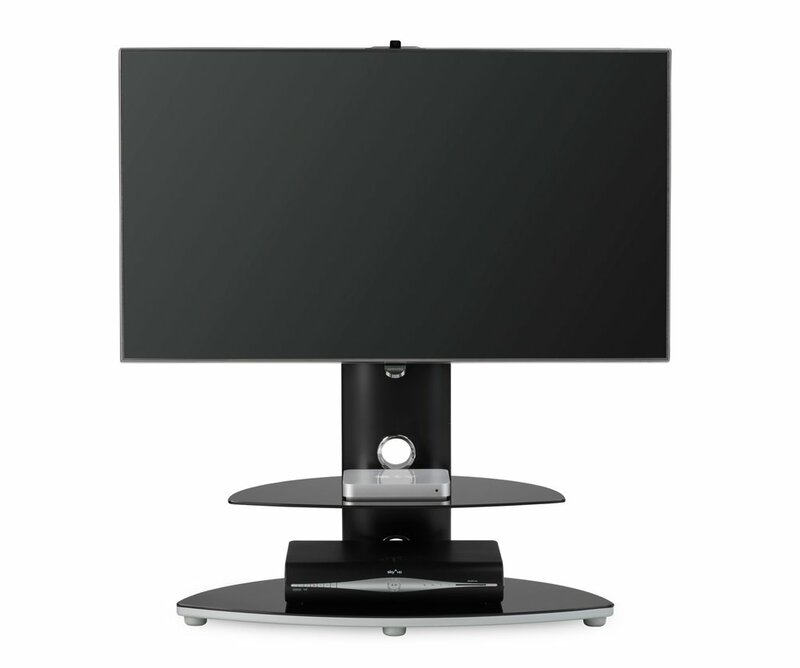 As with any Samsung use the correct spacers supplied with the stand or the ones that came with your TV. Can a sound bar be fitted to this stand? It is free standing you just need to fix your tv to the stand, it’s very easy and fits nicely into the corner, very happy with it. Hi, I've got a 40" Samsung TV. I want to know how far the TV will be off the floor with this stand at its lowest setting. Thanks. 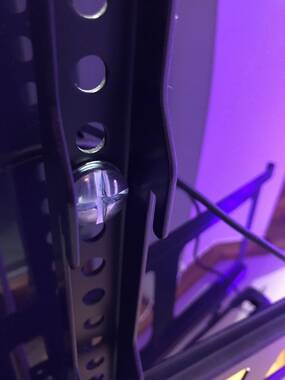 Do I need bigger screws in order to fit the bracket to the back of my Samsung UHD TV 40"?? I tried everything I managed to assemble the stand but not the TV to the stand :( HELP!? It needs 2 people to lift the tv to the stand. I need my 40" TV to be 24" from floor to bottom of TV as sofa arm would obscure part of tv viewing. 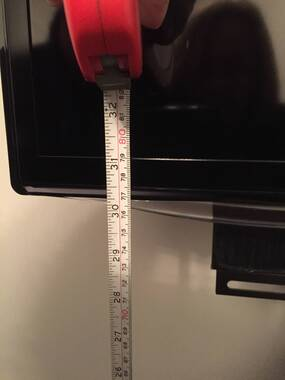 how high can you raise tv from floor to bottom of tv.